Stuttgart, the home of Mercedes and Porsche, is to introduce a ban on some diesel vehicles – but has come under fire for only banning Euro 4 and older diesels from the outset. The ban, which follows legal action by environmental groups, will come into effect from 1 January 2019 and will apply to the city centre. It follows clarification two months ago from the German Federal Court that cities are now officially allowed to ban older diesel vehicles from their streets, which has since led the announcement of a diesel ban on two streets in Hamburg. The state government of Baden-Württemberg said the ban would initially apply to Euro 4 diesels and could be expanded to cover Euro 5 diesels if NOx levels did not fall to legal limits. 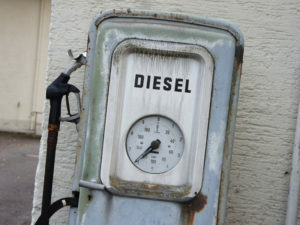 ClientEarth and Deutsche Umwelthilfe (DUH), which brought the original legal action, said the plan outlined is a step forward, but said they believe delaying restrictions on Euro 5 diesel vehicles fails to meet an order from the Stuttgart administrative court.